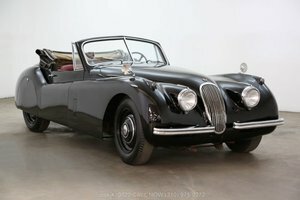 This XK120 Fixed Head Coupe is an incredibly important and historic Jaguar being the second prototype Left Hand Drive example produced and the original 1951 Geneva Show car. 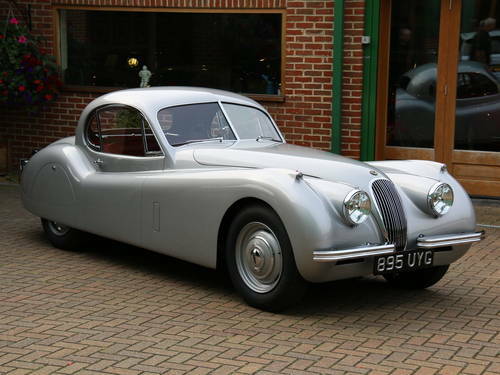 When Jaguar stunned the world with its new XK120 in 1948 few would have thought that the elegant styling of the original open two seater, or roadster, could be improved on. That thinking was challenged in 1951 when arguably the most beautiful model of Jaguar ever produced was unveiled, the Fixed Head Coupe. Reminiscent of the Bugatti Atlantic, the new coupe was based on the roadster but incorporated a teardrop shaped roof that successfully joined the front and rear design elements in one sublime flowing body. 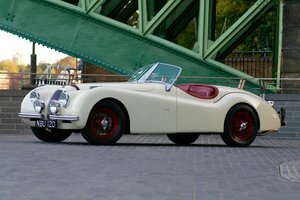 The coupe retained the chassis and mechanicals of the roadster, with some minor changes to accommodate the new body, and so the new model combined the sporting pedigree of its predecessor with the enhanced looks and luxury of the new design. That the coupe proved to be strong success with the public is underscored by the production numbers with over 2500 examples produced, the majority in LHD. 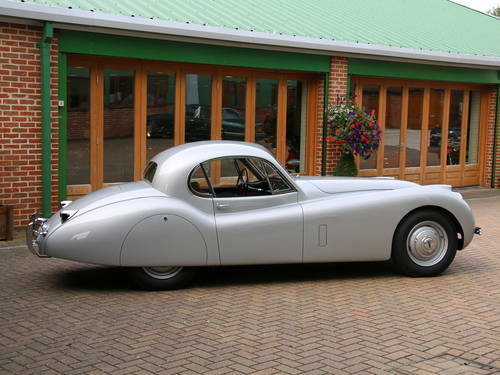 This car is a very special example, being the second LHD prototype of the new coupe and the actual car that Jaguar used at the Geneva Motor Show in 1951 to showcase the new model. Built in March of that year it was modified in the experimental department by welding and riveting a new roof onto an existing roadster body, which was accordingly modified and evidence for which was found and documented during its exacting restoration. 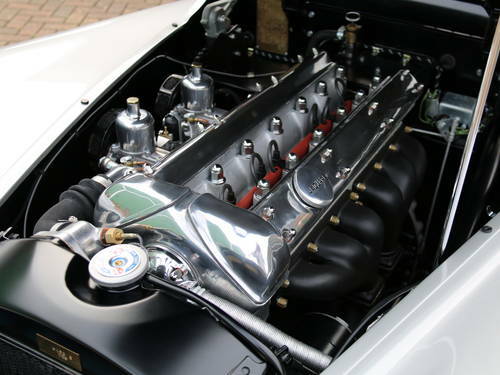 At this time it was also discovered that the donor roadster body also exhibited a number of unusual features in its own right, suggesting it had been an earlier steel bodied roadster prototype before being used to develop the fixed head. 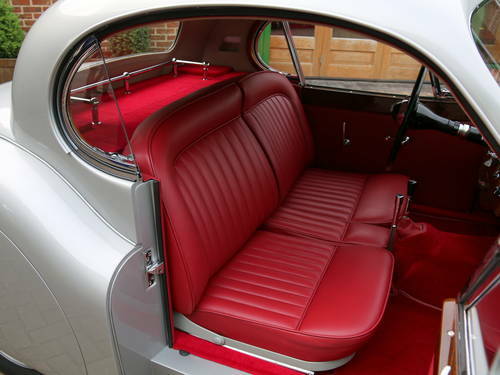 Other unique aspects of this very early fixed head are the dashboard layout, windscreen surround, flower rail rear parcel shelf and the use of MkV sidelight housings, a feature seen on only a handful of the earliest coupes. Following its completion the car was dispatched to Geneva in the spring of 1951 and then used as a publicity vehicle at various other locations in Germany, including the Frankfurt Motor show, where it was purchased by an American Serviceman, one Captain J Arthur. 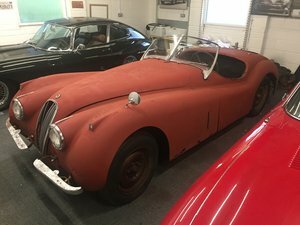 The car was then returned to Jaguar and eventually delivered via La Jolla Motor Imports of California to Captain Arthur in January of 1952 who had by this time returned to the States. From Captain Arthur the car then passed to A E England, a Pontiac dealer in Hollywood, and then on to a Mr Roger Phinney from of Nova Scotia, who was living in California at that time. During Phinney’s brief ownership car and driver embarked on a marathon cross-country drive from California to the East Coast, which required regular stops for oil and resulted in a night in jail when Phinney tried to sell the car on arrival in Maine without the correct paperwork. The car had returned to the West Coast by the late 1970s and remained there until it was acquired by Percy Dixon, a retired aircraft engineer from Adelaide, Australia. When Dixon took possession of the car it was clear to him he had acquired a very interesting 120 and so he began to dismantle the car and carefully investigate every component. 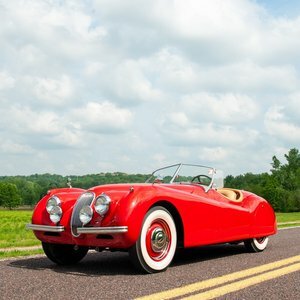 At this point Dixon’s interest seems to have surpassed that of even the most ardent Jaguar enthusiast and for some unexplained reason he covered the vehicle with numerous inexplicable numbers. Sadly Dixon died before completing the intended restoration and so the mystery of his numbering remains unexplained but on a more positive note Dixon’s near obsession with the car meant that nothing was thrown away and when the car was acquired by its new owner in 2013 it remained in a very original and complete state, albeit needing a full restoration. 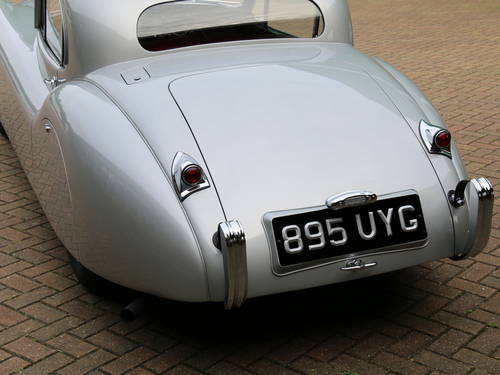 To this end the car was returned to the UK in early 2014 and entrusted to JD Classics to undertake a highly sympathetic yet concours standard restoration with a view to entering the car into the 2014 Pebble Beach concours d’elegance. During the restoration every effort was made to repair and retain the unique original components and to document every step of the process. Forensic analysis was undertaken and proved without question that this is indeed the prototype chassis number 2 and retained almost all of its original components including chassis, body, engine block, back axle and gearbox. 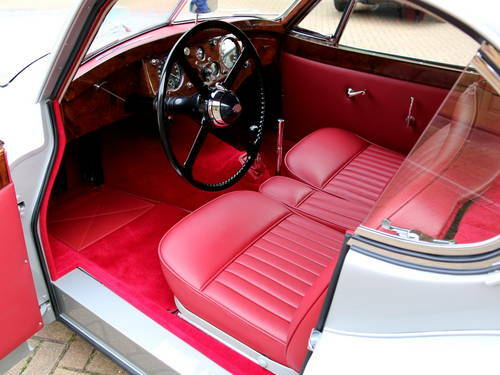 Finished in its original factory colour scheme of Silver paint with Red leather interior (with correct roadster style seats) it was ready just in time for Pebble Beach where it performed faultlessly winning Best in Class in the Post-War Touring category against very strong opposition. Since that time the car has been cherished in a private collection and as such remains in immaculate condition to this day. It comes accompanied by a number of articles and a fabulous book outlining the car’s history, unique construction features, restoration process and concours success. 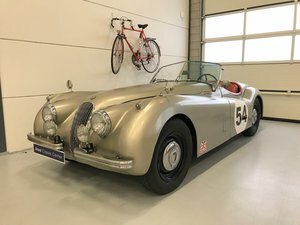 This wonderful car provides an unmissable opportunity to acquire a truly historic Jaguar that has a fascinating story and is quite simply a delight to behold.